"There is no shortage of pizza joints in the greater Boston area, that's for damn sure. But Stone Hearth Pizza —with locations in Cambridge, Needham, Belmont, and, as of a few weeks ago, Lower Allston — is the front-runner for guilt-free, locally sourced pizza pies." "Via @statehousenews, House leadership changes: Rep. Rushing to whip, Moran to division chair and Michlewitz as Elex Laws chair "
Harvard created a "Kindness Pledge" for freshmen and an "MBA Oath" for business school graduates. In my article on page 10 of this Occupy Harvard publication I ask what Harvard might say in an "Allston Pledge". On Tuesday, December 13, a special election will be held to fill the state senate seat vacated by Steve Tolman in the Second Suffolk & Middlesex district, which includes most of Allston and Brighton, parts of the Back Bay, Fenway and Cambridge, and all of Watertown and Belmont. Join us to meet the candidates! The Globe reported yesterday on 5 new residential projects that would combine to create more than 1,400 new units of housing in Boston. Two months ago Harvard seemed eager to move ahead with planning for new housing in Barry's Corner, and their consultant mentioned having more public meetings in October. But October came and went with no meetings and no news about how Harvard plans to proceed. Which is too bad, because if done right new housing and retail in Barry's Corner could be a great improvement to the area. Investors in multifamily housing developments are taking advantage of a fortuitous turn of events: rising rents, low vacancy rates, and interest rates below 4 percent - a combination that translates to unusually hefty profits. "There has never been a better time in the last 40 years to develop a multifamily project in Boston" said George Fantini, chairman of the mortgage banking firm Fantini & Gorga. A recent court ruling could have a significant impact on off-campus student housing in Allston, Brighton, and across the state. "...the Massachusetts Appeals Court ruled that renting to 4 or more unrelated students in one apartment unit is an illegal “lodging house” unless a special license is obtained. ...using the College Hill ruling, housing authorities, who want to crack down on unruly, crowded apartment dwellers, may seek to require lodging licenses for apartments occupied by 4 or more unrelated persons." I agree the the Mayor and others quoted in this story that kids on skateboarders shouldn't be messing up fancy granite fountains. So how about find some more appropriate place, like maybe on some of Harvard's property that is just sitting vacant? Rajon Rondo will host the ”Boston Charity Classic” this Saturday at 6pm ET, with proceeds benefitting local Boston charities providing holiday meals and support to families in the Boston area. Scheduled participants in the game include Rondo, Paul Pierce, Glen Davis, Marquis Daniels, Josh Smith, Kendrick Perkins, Rudy Gay, Leon Powe, Jeff Green, Kevin Durant, JaJuan Johnson, Jeremy Lin and Kyle Lowry among others. Tickets will be available to the public on Tuesday, November 15th and can be purchased through the Harvard Athletics Box office either in person or via phone (65 North Harvard St. Boston, MA 02163 – 617.495.2211). Box office hours are 9:00am-5:00pm, Monday through Friday. Tickets are $50 for general admission, $100 for courtside seating, and parking is $10 at the arena. Seems strange that Harvard is spending money to renovate a building that is supposed to be demolished in a couple years to build graduate student housing in Barry's Corner. The Callie Crossley Show today featured an interview with two Harvard professors who would like to see researchers at Harvard and other Boston-area universities focus more of their research on issues directly relevant to the city. "We kick off WGBH's "Where We Live" series with the city-university connection. Boston is home to some of the world's best research institutions and leading experts on urban issues such as poverty and crime. Though Boston is the perfect place to study societal issues, the city's scholars usually go outside greater Boston—opting to study cities like Lagos or Los Angeles. A new initiative out of Harvard University's Radcliffe Institute is aiming to change this. The goal is to have our universities collaborate with city officials to examine how the city works, how it fails, and the policy changes that can make this a better place to live." If Harvard is still considering which schools might occupy the Science Complex on Western Ave, it will be many years before those decisions will be made, the planning completed, the buildings redesigned, and construction resumed. Just as when Bloom was dean, those who work at the School of Public Health are divided on the possibility of moving to Allston. But moving into Allston is not without its complications. The School of Public Health has had a presence in Longwood since 1913 and its own building in the area since 1923, a history that faculty members say complicates the possibility of moving. Dockery says that, over the years, the School of Public Health has also developed “very strong connections” with the neighboring Medical School. “I think we’re torn,” he says. Professor Alberto Ascherio expressed a similar opinion in an email. “Because of our close connections with the Harvard Medical School, I would prefer to remain in the medical area,” Ascherio wrote. Bill McKibben, a Harvard alum and founder of the climate change advocacy organization 350.org, revives the idea of having Harvard students do some agricultural labor. Farm the Yard | Harvard Magazine Sep-Oct 2011: "If college is about supplying what’s missing, then it’s time to dig up a good chunk of the Yard and plant a garden." While it is hard to envision more than a small "demonstration garden" in Harvard Yard, the Allston Farm is one of many interesting ideas for Harvard's underutilized land that is still waiting to come to life. Most of the field behind the Honan Library is now being put to good use as Library Park, but there is still a decent sized strip of field fenced off and unused along the park's north side. Or maybe it could go next to the Business School in a few years when Harvard tears down the old Charlesview. Nice column in the Globe about how Harvard and other Boston-area universities might take more interest in what is happening here in their backyard. Harvard is bringing David Manfredi to Allston to plan Barry's Corner, which makes it interesting to look at his ideas for nearby Kendall Square (starts at slide 13). "Somerville is home to some of the most exciting urban development zones anywhere," Glavin said in a statement. "The city is ideally located within the Boston metropolitan marketplace and, with the Orange and Green lines on the near horizon, it has the opportunity to be a national model for how dynamic a city can be." Four years ago Michael Glavin became the Boston Redevelopment Authority's Deputy Director for Institutional Development. Last night he announced that he is leaving the BRA in October. No information was provided as to who would replace him as Harvard accelerates its activity in Allston. "Members said that the BRA has underrepresented the community and left them lost about whom to turn to for community support. Ray Mellone, chair of the task force, echoed Houghton’s sentiments. “I cannot see how we can do our job of reporting to the community without any control over the situation,” Mellone said. MassHousing is providing a series of loans for the Charlesview project, along with $72 million in financing from Harvard University and the $28 million from Google, which stepped up its investments in low-income housing in 2010, when the prices of tax credits were between 60 and 70 cents on the dollar." Boston.com has the newly-release MCAS results for all Boston schools here. What kind of Barry's Corner does Harvard want? Allston neighbors worried that their concerns would be steamrolled as Harvard University announced plans to jumpstart its campus expansion yesterday, but others were happy to hear that work on the $1 billion health and life science center and other projects was getting started again." Harvard officials did not disclose any details about the cost, size, or scope of the project at Barry’s Corner, apparently sensitive that discussing any such components would trump the public process and upset neighbors. Allston resident Harry Mattison said he is concerned the development will house too many graduate students and not enough families, young professionals, and older residents. Harvard has said only that the complex will include rental housing for “Harvard graduate students, visiting scholars, faculty members, and others’’ and that it will be combined with “retail facilities and amenities’’ for the neighborhood. 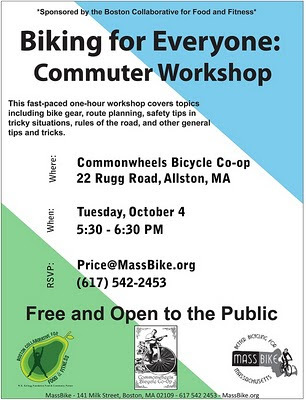 "...But Allston residents say these initiatives are not enough. They complain that direct communication with Harvard has never existed, even before McCluskey’s departure, and they criticize the University for not working side-by-side with community members." At the BRA Board meeting tomorrow afternoon, Harvard will be seeking (and I expect will be given) final approval by the BRA to proceed with the $100 million Tata Hall building at its business school. 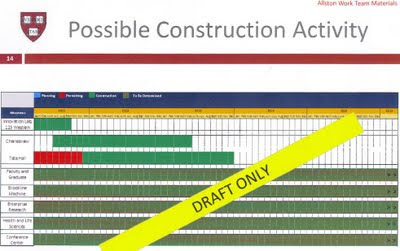 During the BRA's comment period for this project that ended last week, comment letters were submitted that were generally supportive of the project and at the same time suggested how the project could be improved, how Harvard could mitigate the project's impacts and make good on past promises, and requested reasonable information about its impacts. See page 2 in this document for a letter from the Charles River Watershed Association, page 5 for one from Cathi Campbell on behalf of the State-appointed Citizens Advisory Committee, page 16 for one by John McQueen, and page 20 for one from the Allston neighbors who serve on the Harvard Allston Task Force. reviewed by the Harvard team." What's the point of asking for public comments if Harvard chooses not to respond to them and the BRA doesn't do anything about it? Now that the brightest of the brightest (Harvard's Allston Work Team) have had their say, how much more research is needed? Will the University undertake significant construction in Allston in the near future? Or is now just not the right time, financially, for the University to commit to further building? 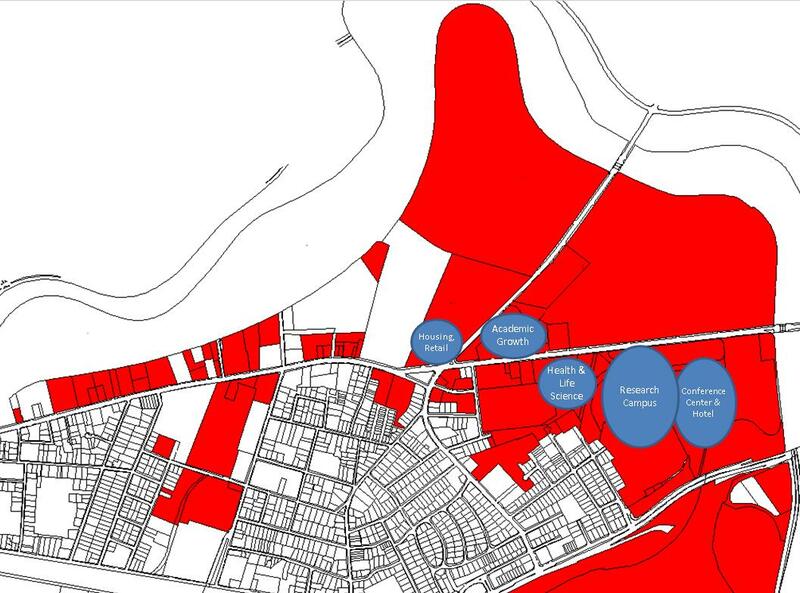 It has been nearly three years since the demise of the original Science Complex plan. What is the future of Allston? Probably more a symptom of how little Harvard has happening in Barry's Corner more than a reflection on the farmers market itself. The opening this fall of Stone Hearth Pizza and the Swiss Bakers will bring a little more life to the area, but it really needs a lot more than that to become any kind of destination. Local farmers and community members have echoed this shopper’s off-hand remark. They say that unlike the bustling Harvard Farmers’ Market outside the Science Center, the Allston market—envisioned as part of the University’s outreach into the Allston community—has had trouble attracting customers and vendors." 10 days since the storm and as of this morning there were still lines down at the intersection of Lincoln and Royal. A couple stories about Allston in the new edition of Harvard's alumni magazine. Nothing that qualifies as "breaking news", but there are some interesting insights into Harvard's approach. But back in Cambridge, there was trouble with the neighbors, as Zeckhauser anticipated. The 259,000-square-foot Center for Government and International Studies, for which planning began in 1995, was not completed until 2005; it had to be completely redesigned more than once to appease community concerns, more than quadrupling its price to a reported $140 million. TWENTY-FIVE YEARS AGO, Prince Charles, a speaker at the University’s 350th celebration, noted in a symposium on urbanization that American universities had been very successful in contributing to the health of their host cities, something he hoped might be transplanted to England. Now, with plenty of space to expand and new plans for business and academic development in Allston, Harvard can hope that the prince’s observations about American universities will come true on its own patch of real estate, across the river. Construction of housing for Harvard faculty and graduate students near Barry’s Corner is expected to provide swing space for graduate students displaced by the impending undergraduate House renovations. 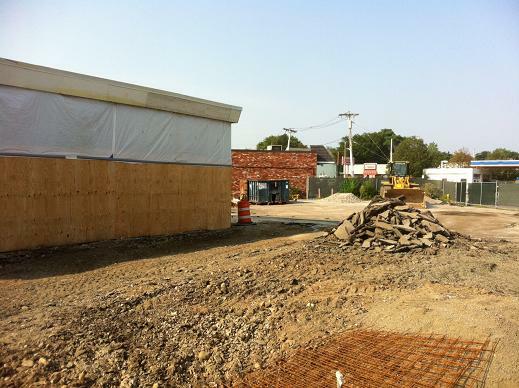 It has been 4 months since renovation started at the former CITGO station. This morning at 9am there wasn't any visible activity at the site and, while there may be great progress being made inside, the exterior is far from ready for a grand opening. "A plan to make upgrades along 1.5-mile stretch of Commonwealth Avenue between Packard’s Corner and Kenmore Square was one of a dozen state transportation projects that have received a combined $6.1-million in federal grant funding, officials announced Wednesday. The state’s transportation department received $1 million – the second-largest of the 12 grants awarded to Massachusetts – to pay for resurfacing a section of Commonwealth Avenue, primarily between Alcorn Street and Kenmore Square. The funding will also go toward reconstructing sidewalks, upgrading traffic signals and making other safety improvements along that stretch of roadway"
I wonder if the Harvard Allston Work Team's upcoming report will confirm this or not. "But with administrators projecting a minimum wait of ten years before laboratories can move to Allston, faculty and students may have to get used to the crunch." So Paul McMorrow would like to see more integration of office, retail, and housing in MIT's plans to remake Kendall Square into a great place to work, live, and play with 100,000 square feet of new retail development, 1 million square feet of office and academic space, and 120,000 square feet of new residences. At least MIT is trying, which is more than we can say about Harvard's lack of plans and non-existent vision for the Science Complex Foundation, the Charlesview site that will be abandoned in a few years, and much of the rest of its vast property holdings on Western Ave, North Harvard Street, Holton Street, and more. 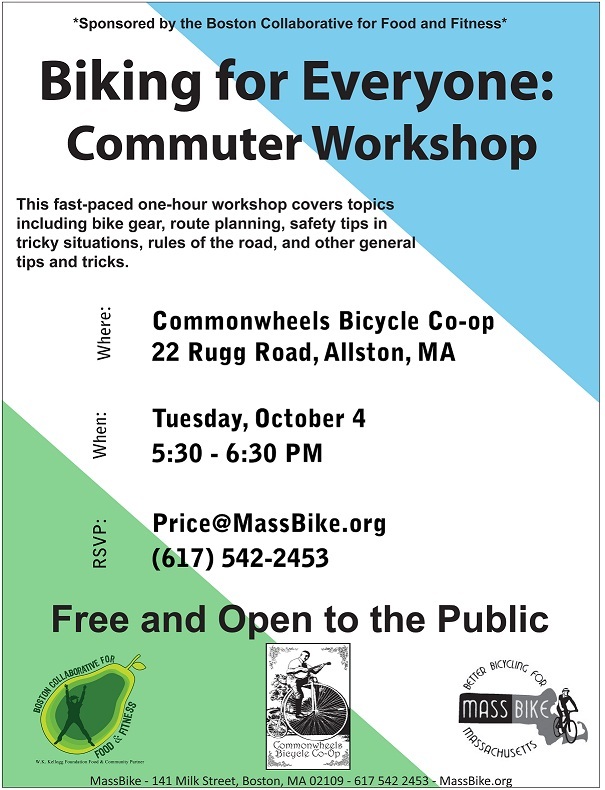 Maybe Faust's Allston Work Team will amaze us with their upcoming report and match the initiative of their Cambridge neighbor, but does anyone really expect that? This quote is the most specific prediction I recall seeing from Harvard about its future in Allston. Doesn't sound like he expects anything imminent, does he? Its not about the process (whether or not Harvard is open and inclusive in its planning). It is about results - and Harvard's lack of progress in Allston and suggestion that we should be satisfied with nicer sidewalks that it is the real problem. It is amazing how little Harvard and the BRA think might happen in the next 5 years on Harvard's massive property holdings in Allston and Brighton. This Crimson story sums it up pretty well - no new development but nicer sidewalks and "buffers" (trees, fences) between the sidewalk and parking lots on Western Ave.
Everett Street is in bloom on the slope between Lincoln and Adamson Streets! Since ABNNF adopted the site in 2008 it has become much greener and more beautiful as you can see in the photos below. Tomorrow (Saturday) from 10-12 we will be doing some spring cleanup, spreading mulch, and helping it look even better. There is also a ton of phlox in bloom and other flowers that you are welcome to bring home. And if your kids like dandelion flowers and blowing seeds as much as mine do, there is no shortage of fun for them there. Hope you can join us! P.S. A huge thank you to Mahoney's Garden Center for subsidizing the mulch for the site and all their ongoing support. The newly expanded Mahoney's is an oasis on Western Ave and please consider shopping their for your gardening needs. Gardner Pilot Academy to expand from K-5 to K-8! This great news was announced this afternoon at a meeting with BPS leadership. Starting in the 2012-13 school year, the school will add 6th grade, the year after that 7th grade, and the year after 8th. Thanks to the Boston School Dept, our elected officials, and the entire GPA community for supporting this initiative! It was great to see dozens of neighbors and others at the Speedway on Western Ave and then at the library for a discussion about the future of the site. Historic Boston is starting a feasibility study of the site, after which a lot more will be known about the programmatic possibilities and financial realities. While the buildings do have a quirky, unique charm, it is hard to see what type of renovation would make sense. Whether the buildings need $2 million or $10 million of renovation we will learn from the results of the study, but it will no doubt take a lot more than just a coat of paint and new shingles to make them habitable. On May 10 at 5:45 at City Hall, the Boston Landmarks Commission will consider official designation of the site as a "Boston Landmark". The commission's study report is available here. "University officials have in the past said that the Innovation Lab would serve as a resource to the Allston community. In a recent interview, Jones emphasized how the lab would benefit the University and said that as director he will ensure that the Innovation Lab will be particularly focused on students." It is nice that DCR has re-shingled and painted the Speedway building on Western Ave, but it is still an empty building on a blighted site. Hopefully this event next Saturday will help lead to something more. Join the Boston Preservation Alliance and the Brighton-Allston Historical Society to envision a new future for the Charles River Speedway Headquarters in Brighton. Your participation will assist us and the Massachusetts Department of Conservation and Recreation in exploring opportunities for this unique, historic complex. The charrette will inform decision-making by public agencies and other interested parties regarding the future of the Charles River Speedway Headquarters. The charrette will also include an update about the Boston Landmarks Commission's Boston Landmark Study Report for the complex and an overview of Historic Boston Incorporated's planned feasibility study. Light morning refreshments and lunch is included. Transportation from the Speedway Complex to the library will be provided as needed. Harvard names new Provost - What will he want to do in Allston? My sense is that every time a new person comes to Harvard in one of these high-level positions (Provost, Vice President for Capital Planning) it resets the clock on Harvard's planning for Allston. These new people are unlikely to accept 100% of the decisions that their predecessors made, and it seems equally likely that they will re-do some of the planning processes so that they can learn the issues and make their own decisions. So my expectations for Harvard's Allston Work Team report (due sometime this summer) are lowered by the fact that a new Provost who was not involved in any of their deliberations will soon arrive and use that report as just one input into his own decision-making. "Garber will succeed Steven E. Hyman, who announced late last year that he would step down at the end of this academic year. Garber’s appointment is effective Sept. 1. Among the areas Garber will focus on include “leading the University’s efforts to define academic aspirations and achievable programs in the entrepreneurial space represented by Allston"
Garber said he will prioritize the integration of Harvard’s schools and the University’s future development in Allston. It has been more than 3 years since Harvard bought the property and 6 months since we first heard about Stone Hearth Pizza coming to Allston. 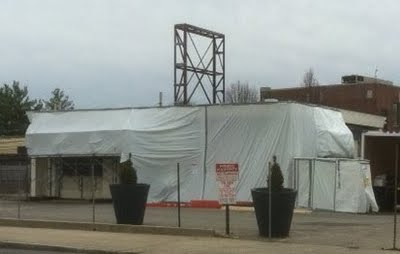 Yesterday showed the first physical signs of the renovation of what was once the Barry's Corner CITGO station. At this rate, Barry's Corner will be great by 2050. Good things come to those that wait! Court denies suit against city and Lesley over Art Institue plan A state Land Court judge has ruled against residents suing the City of Cambridge and Lesley University over plans to relocate the Art Institute of Boston to the site of a historic church in Porter Square. Neighbors of the North Prospect Church had filed the suit in 2009 asking the court to overturn new zoning laws that enable Lesley to move the church to the south side of its Massachusetts Avenue property to make way for a new four-story building for the institute. David Dixon and Goody Clancy - the consultants for the North Allston Strategic Framework- will be doing similar work with a city, neighborhood, and university in Cambridge. Hopefully more of their planning will become reality this time. Meanwhile, I heard good things about new BRA Director Peter Meade from a friend who knows him well, but has Meade said anything about Harvard's abandoned Allston expansion in his recent interviews? When John Palmieri got the job in 2007, Harvard & Allston were supposed to be one of his top priorities. Meade said he’s looking forward to doing work in Roxbury, Dudley Square and the Innovation District in South Boston, as well as the barren Filene’s site at Downtown Crossing. Cambridge City Council yesterday selected Goody Clancy & Associates, a Boston architecture and planning firm, as consultants for the forthcoming study on the future of urban development in the area between Kendall and Central Squares. The study will define processes and implement changes that account for “missed opportunities” between the squares and bring together the wide array of existing plans and zoning change proposals that are in progress in the area. The Council voted 8-0 last night to approve the selection of Goody Clancy and to allocate $350,000 for the study from two sources: a $175,000 one-time increase in MIT’s Payment In Lieu Of Taxes (PILOT), and a $175,000 “payment for ‘Neighborhood Planning Studies’ as project mitigation from Boston Properties. David Dixon, head of Goody Clancy’s planning and urban design division, discussed Goody’s approach to the project. Dixon stressed the importance of housing in vitalizing the area. “It won’t do us any good to say ‘we need more retail in Central Square’ unless we expand the market. The best way to expand the market is housing,” he said. Over the last decade, MIT’s academic footprint has increased by more than 2.7 million square feet, its largest building boom since the federally funded postwar expansion of the 1960s. Now, as the Massachusetts Institute of Technology celebrates its sesquicentennial this month, it is beginning to turn its attention toward renovating facilities and developing neighboring commercial holdings. The recent growth, which MIT pursued even through the recession, has injected millions of dollars into the city, augmented the university’s involvement in the life sciences, and remade once-gritty neighborhoods into one of the prime biotechnology and research centers in the country. And in contrast to Harvard’s stalled expansion across the river into Boston’s Allston neighborhood during the recent economic downturn, MIT has managed to complete its building projects through heavy fund-raising and increased borrowing. Did anyone find "firm commitments" in Drew Faust's recent Allston letter? Apparently someone at the Globe did. "Maki Maki will offer seating for 180 people and will be open seven days a week for lunch and dinner"
The planned relocation of the Harvard School of Public Health to a new campus in Allston a decade from now presents us with incredible opportunities--and an urgent necessity--for thinking about the future of public health. Harvard University employees are moving into a newly restored Mission Hill building – one of three century-old former church complex facilities previously slated for demolition. The university has a 10-year lease at the site that will house nearly 200 administrative workers for the Harvard School of Public Health. The New Balance plans for "a sports complex, hotel, park, movie theater, office buildings, and community space, along with a commuter rail station and access to the turnpike" always sounded better to me than a low-density, low-job creating Lowe's that would have duplicated the products available at the Watertown Home Depot and many smaller nearby retailers. The New Balance idea of creating new on- and off-ramps to the Mass Pike though seemed strange to me, and of course the devil is in the details. For example, the New Balance and WGBH buildings could have done much more to animate the Market St / North Beacon St area and for some reason they haven't spurred much new development to enrich the area around them. But it will be great to see eventually see that Guest Street land transformed and hopefully it starts a trend that Harvard and other property owners in the area might follow. "However, some residents – albeit thankful for the school’s positive steps forward – say until Harvard resumes work on its bigger promises for developing that area – most notably a $1.4-billion science center complex stalled since late 2009 – the university will not have the complete trust and backing of the Allston community. “There’s a great deal of anxiety in the community on this [science center] site, and until that gets resolved that anxiety won’t go away,” said Paul Berkeley, a member of the Harvard Allston Task Force, a city-appointed group created to provide civic feedback to the school as its Allston campus expands." Additionally, Harvard should be consulting the residents themselves even more than they do already. We are no experts on the specific needs of the Allston community, but there are those who are—and, to a certain extent, they have been struggling to make their voices heard.... President Faust has reassured the community that Allston remains a priority. But words mean only so much, and at some point they need to be translated into measureable plans." Don't know if Harvard or the BRA considered any of the community input about the project or the City's Environment Departments concerns about Harvard's transportation and parking plans. Thanks to Paul McMorrow for reminding Globe readers that Harvard can and should move forward with its Allston construction. Harvard’s vaunted new $1 billion Allston science center was supposed to be the centerpiece of the university’s new, modern face. It was to be the anchor of a gleaming, interdisciplinary, forward-looking empire. But construction ground to a halt in December 2009, and there’s no telling when work might resume. 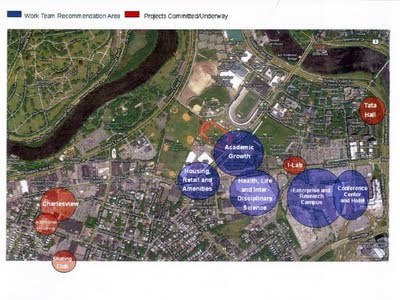 The science center site was supposed to be the opening round in the revitalization of a corner of town that never recovered from BRA bulldozers. Instead, the fenced-in site radiates decay. Cutting-edge research brings in money, but Harvard isn’t chasing a profit in Allston. All it’s trying to do is strengthen its institutional standing as much as possible, and maybe not be an awful neighbor along the way. Residents fear that with the University focusing on the renovation of undergraduate housing, Harvard’s holdings in Allston will not be developed any time in the near future. “Allston’s always the first priority after other things,” local resident and Harvard-Allston Task Force member Bruce E. Houghton said. Nice to see that the editors of the Crimson think Havard should put more emphasis on raising money to re-start Harvard's Allston expansion. There is no reason that the capital campaign cannot have both internal and external ends, but the Allston community must take precedence." It's not often that we have a chance to help make an improvement in our neighborhood that our grandchildren will enjoy. But the reconstruction of the Charles River bridges is one of those special opportunities - these 75+ year old bridges are getting major repairs for the first time and it will probably be another 75 years before they are rebuilt again. So wouldn't it be great to do better than just rebuild the existing bridges and promote public health and safety at the same time? The Anderson bridge, which connects North Harvard St in Allston with JFK Street in Cambridge, can be rebuilt with an underpass that will allow walkers, joggers, rollerbladers, and bicyclists to travel without interruption along the river instead. Sort of like the Eliott Bridge underpass but with better lighting, better drainage, and better design! Please CLICK HERE if you'd like to support this effort by adding your name to the Charles River Conservancy letter below. For information on writing your own letter, CLICK HERE.